WMA will offer active duty service members, retired or prior service veterans, and their spouses a hands-on art experience with a series of classes and open studio dates in April and May. With instruction from WMA’s art educator, Amanda Holcomb, students will learn techniques in drawing, acrylic paint, printmaking, and clay in three separate classes on April 3, 10, and 17 from 5:30- 7:30 p.m. Open studio hours for students to practice what they’ve learned by creating their own works of art will be held April 24 and May 1, 8, 15, and 22 from 5:30 – 7:30 p.m. Amanda will be available in the studio to assist during open studio dates. WMA will exhibit a selection of the final pieces from those participants who allow us to share their work in the museum’s Coleman Gallery from June to September 2019. PLEASE NOTE: Classes are limited to active duty service members and retired or prior service veterans, who may bring a validating ID of their choice. All sessions are FREE but registration is required and space is limited. To register, online visit http://bit.ly/OpArtReg. Have questions? Email Amanda Holcomb at education@wiregrassmuseum.org or call WMA at 334-794-3871 during business hours (M-F from 9 a.m.-5 p.m.). 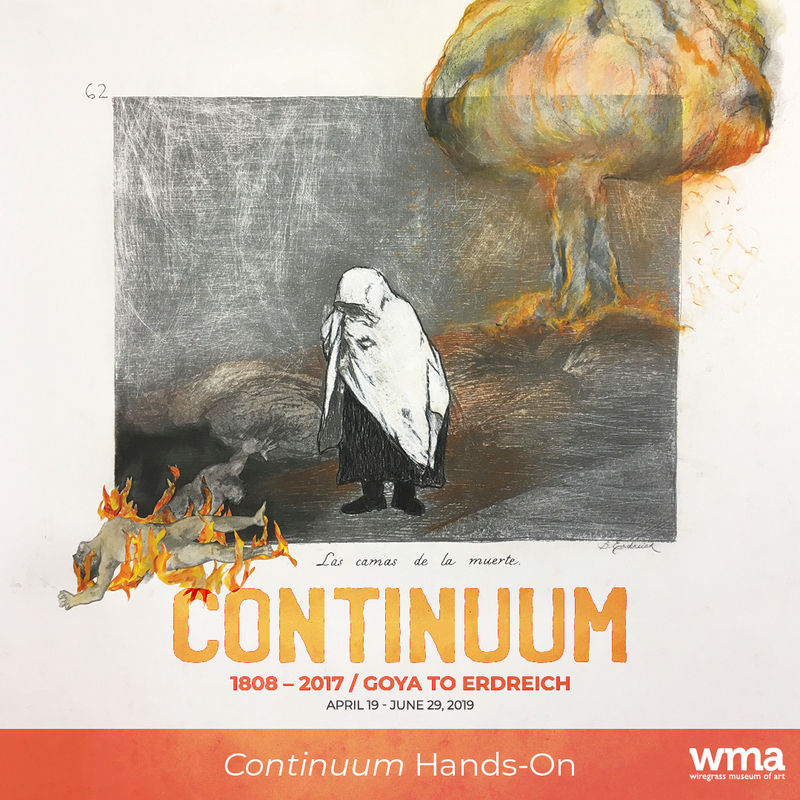 Operation Art is held as part of a full schedule of programming related to WMA’s upcoming exhibition, Continuum: 1808 to 2017 / Goya to Erdreich (April 19 – June 29, 2019), which features a series of mixed media work by Beverly Erdreich, a Dothan native who now lives and works in Birmingham, Alabama. The exhibition takes an unflinching look at atrocities that have impacted society through incredible acts of brutality. Operation Art classes and open studio events will be held in WMA’s second-floor studio.